The future stars of the Huskies and other elite teams gathered at the PAC to launch a sports program in support of Indigenous youth. The College of Kinesiology is proud to partner with the Saskatoon Tribal Council and Huskie Athletics for the first in a series of planned opportunities that will give young Indigenous athletes the chance to connect with Huskie coaches and athletes, as well as the personal trainers and fitness experts from the Human Performance Centre. With support from the Office of Indigenous Initiatives, we were pleased to welcome kids from the STC communities to the Physical Activity Complex for our first event on Sunday, November 26, 2017. 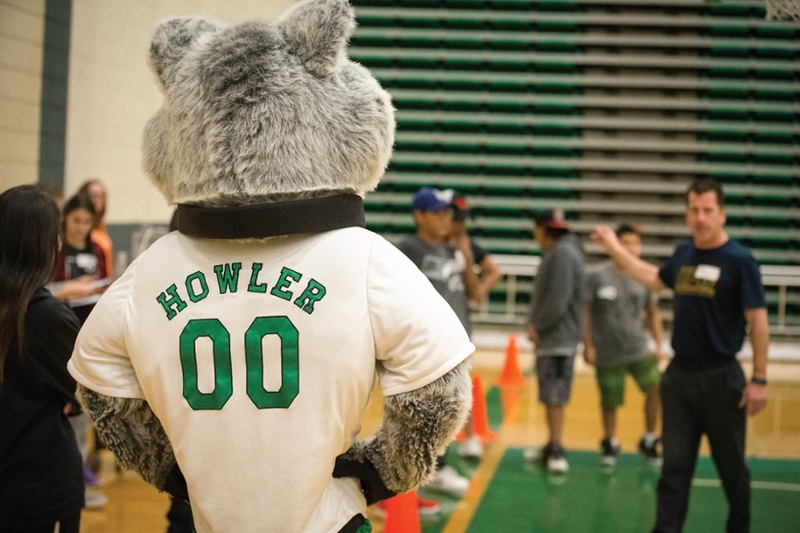 The focus of the day was on individual development, not competition, with a goal of encouraging the kids to see themselves in their Huskie mentors, student-athletes from the wrestling and track and field teams. These young people can take the skills and messages back to their peers and become leaders in their own communities. We look forward to seeing them again for the next session and welcoming them as University of Saskatchewan students one day! Article re-posted on 2-Apr-2019 5:17:11 PM .